February 05, 2015, 5:18 p.m. In terms of public opinion, the British royal family is enjoying something of a heydey. The Queen has long since recovered from the dark days after Princess Diana&apos;s death, Wills and Kate are very popular, and even Prince Charles has enjoyed a turnaround in the past five years. However, new research from YouGov reveals that the extent of the British public&apos;s enthusiasm for the royal family is very strictly limited to the &apos;core&apos; royals in the direct line of succession. The minor royals are not thought to warrant any support from the taxpayer or even the Royal Duchies. The research asks British people which of the major adult groupings of the royal family should continue to receive public money and revenue from the royal estates. Apart from the core family (the Queen and Prince Philip, Charles and Camilla and Prince William and Catherine; all supported in their current funding setup by a majority), the public think it’s time to cut the others off. Thought least deserving of preferential funding are the Queen’s cousins, descended from King George V (the Duke and Duchess of Gloucester, Duke and Duchess of Kent, Princess Alexandra and Prince and Princess Michael of Kent), as well as the Queen’s grandchildren (Princess Beatrice and Eugenie, and Peter Phillips and Zara Tindall). Fewer than 10% think these groups should continue with their current financial arrangements. 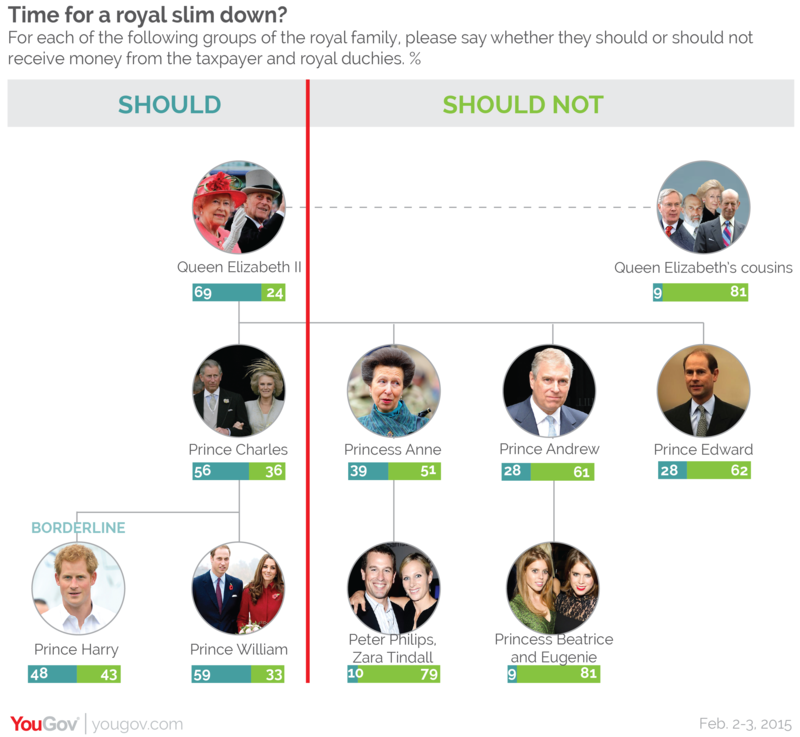 Only 28% think that Prince Andrew and Prince Edward, two of the Queen’s sons, should be allowed to receive public money and revenue from the royal duchies, while slightly more (39%) think Princess Anne should qualify. 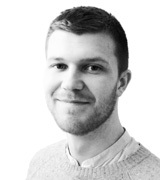 Even Prince Harry, fourth in line to the throne, only narrowly avoids the financial chop. 48% say he should be allowed to receive money by his current means, 43% say he should not. For 250 years Parliament paid the Queen a fixed amount of money, through the Civil List, insensitive to the rate of inflation. But the Coalition’s spending review of 2010 changed all that, and as of 2013 the Queen has received an inflation-proof 15% cut of revenue from the Crown Estate – a property portfolio with soaring value – through the Sovereign Support Grant. The cost to the taxpayer of the royal family is around 58p per head per year, or around 0.005% of total public spending. Still, republicans can argue that money raised from the Crown Estate (or in Charles’s case, the Duchy of Cornwall) is strictly hereditary, and benefits from generous tax exemptions.